The Barnett Vortex Youth Archery Bow is a lightweight compound bow offering the same design and function as full-sized bows for young and beginning archers. 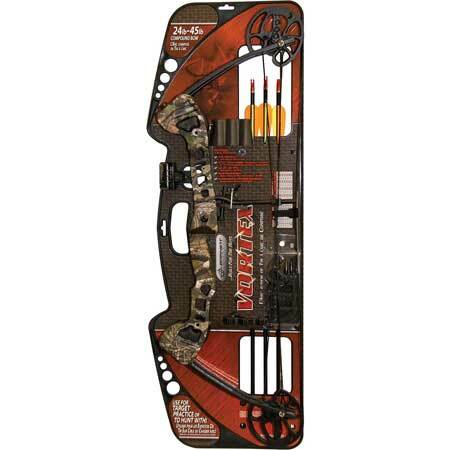 It has adjustable draw modules that enable easy weight changes without a bow press, and the draw weight can range from 16 to 45 pounds. It comes complete with three arrows, a arrow holder, and the package doubles as a carrying case.